From the bestselling author of The Essential Laws of Fearless Living and The Courage to Be Free. The Seeker, the Search, the Sacred is about the universal and timeless spiritual principles that lead us to a personal discovery of divine guidance and higher insight. This is a landmark work by self realization teacher and bestselling author Guy Finley, who offers it as compelling evidence that within every human being dwells a nameless Sacred Being that teaches us to live in the light of our own true selves. 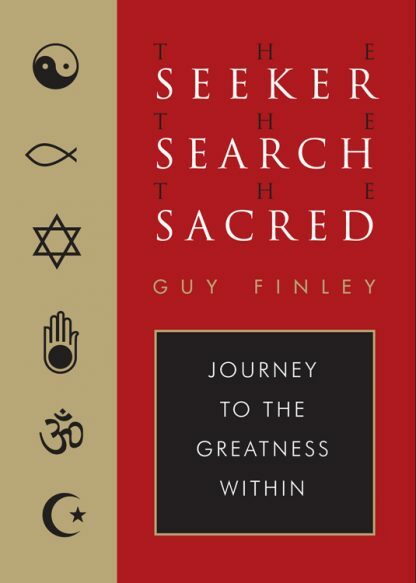 In The Seeker, the Search, the Sacred, Finley presents passages from all the major religious traditions and philosophies to demonstrate how they all work in concert to describe different aspects of a single compassionate, loving, and divine intelligence. Finley includes hundreds of quotes and inspiring thoughts from writers, teachers, and philosophers from around the world, making The Seeker, the Search, the Sacred an essential guide for positive living and creating an authentic life.